Dallas offers a unique blend of Southwestern warmth, cosmopolitan flair, Old West charm and modern sophistication. This richly diverse city boasts a thriving culinary scene, a leading arts district,countless luxury accommodations, professional sports, trendy entertainment districts and endless shopping opportunities. Join the roar of the crowd at a Dallas Cowboys game or cheer on the Texas Rangers. White Rock Lake is a popular destination for local water recreation, and residents and visitors enjoy access to world-class golf courses and an extensive network of parks and biking and jogging trails. 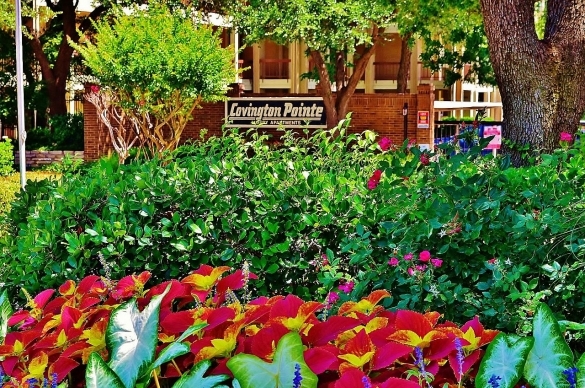 Covington Pointe is tucked away in a quiet, residential neighborhood one block from Addison that feels more like a peaceful retreat than a metropolitan community in the heart of North Dallas. Public transportation is provided by Dallas Area Rapid Transit (www.dart.org). Our community is located in the Dallas Independent School District (www.dallasisd.org), phone: (972) 925-3700). George Herbert Walker Bush Elementary, E.D. Walker middle Schools and W.T. White High School. Nearby colleges include Southern Methodist University and the University of Texas at Dallas. Copyright 2009. Kennedy Wilson All rights reserved.